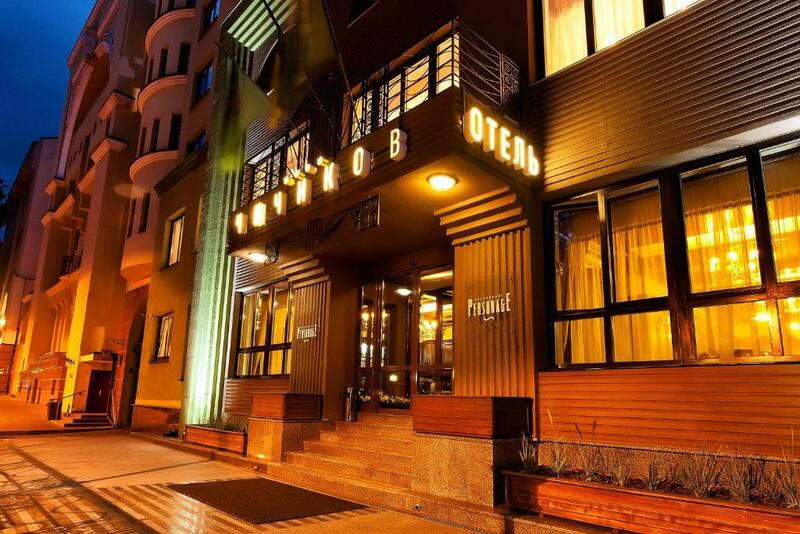 Lock in a great price for Chichikov Hotel - rated 9.1 by recent guests. Friendly and respectful personnel. Excellent Location. 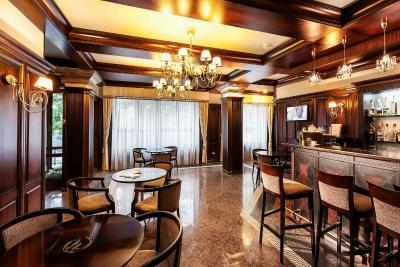 This is a really great hotel with good location and value for the money. Friendly and helpful english speaking staff. 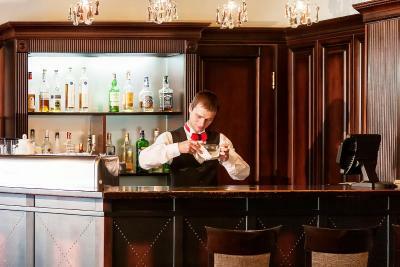 The staff were all so very nice, efficient, friendly and helpful. Hotel and room spotlessly clean and very comfortable. Breakfast was excellent. I highly recommend this hotel. The location is superb, so is the breakfast. The hotel is in a quiet side street despite being right in the city centre. The staff is VERY kind and helpful. The food is great! 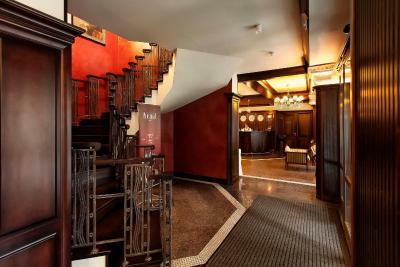 great breakfast,friendly staff most speaking English.Location is excellent.It is located off the main street and there was no traffic noise at night so I got a good nights sleep.The staff were very friendly and helped with all my requests.I would stay there again 100%. It was my birthday during my visit, they made me a cake & sent it to my room with a bottle of wine! Everyone remembered me. And the last review I gave of the hotel. The staff helped me with booking a train ticket back to Kyiv, and provided a laptop computer to solve last minute work-related crises. 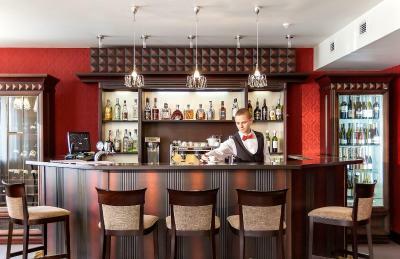 One of our top picks in Kharkov.This modern hotel in the historical centre of Kharkov offers well-appointed accommodation with free Wi-Fi. 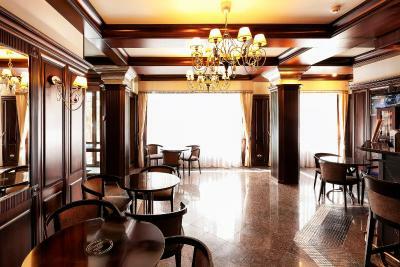 Personage Restaurant is specialised in Italian cuisine and works 24 hours a day. 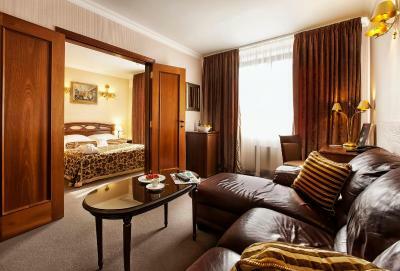 All rooms feature a compact work area, a minibar, a safety deposit box, a hairdryer and a flat-screen TV. 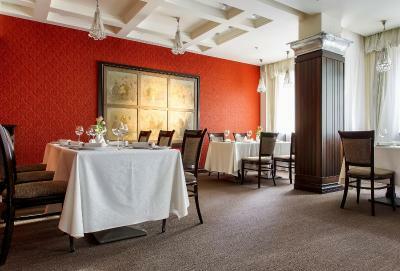 They are decorated in deep burgundy and cream colours, and fitted with functional furniture. 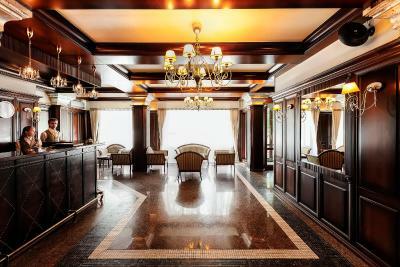 The hotel has an on-site lobby bar and a beauty salon where guests can unwind. It provides a booking service for airplane and train tickets and bicycle rental service. 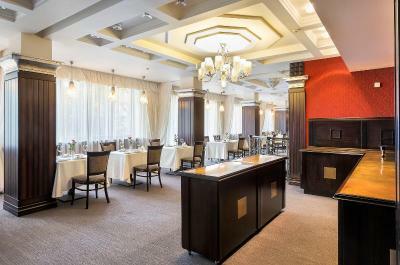 The Chichikov Hotel is located within easy walking distance to the Zerkal’naya Struya fountain and the Kharkov Academic Opera and Ballet. 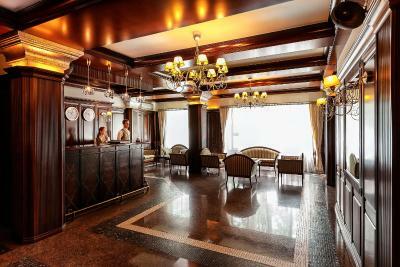 Kharkov International Airport is about 6.8 miles away, and Central Train Station is 1.9 miles from Chichikov Hotel. 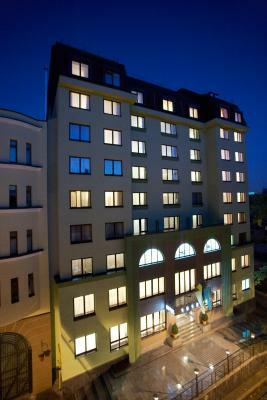 Akademika Beketova Metro Station is just a 2-minute walk from the property. Chichikov Hotel has been welcoming Booking.com guests since 28 Oct 2010. 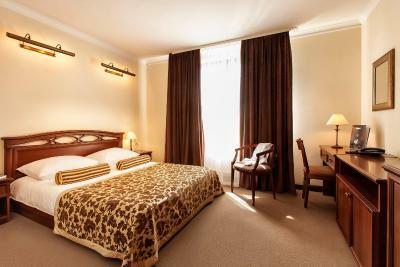 When would you like to stay at Chichikov Hotel? 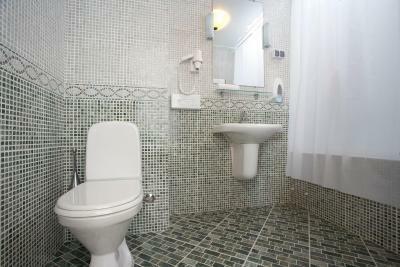 Modern room features a flat-screen TV and a private bathroom with a bathrobe and free toiletries. Modern suite features a flat-screen TV and a private bathroom with a bathrobe and free toiletries. Also includes a seating area and dining area. This suite has a spa bath, air conditioning and satellite TV. House rules Chichikov Hotel takes special requests - add in the next step! All children under 12 years are charged UAH 350 per night for extra beds. All further older children or adults are charged UAH 350 per night for extra beds. 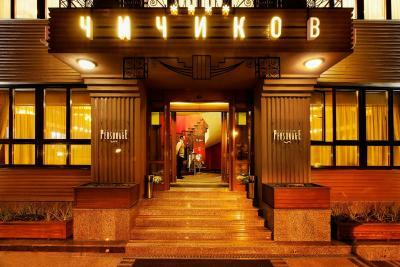 Chichikov Hotel accepts these cards and reserves the right to temporarily hold an amount prior to arrival. The hotel itself, although charming, needs a renovation. The beds aren't that comfortable and are very low, compared to other hotels. Shower cabin is way too small. The room looks boring. Breakfast is also very basic. The staff and the location. It is kinda charming. Decent, but certainly not 4 star. Breakfast on the cheap side of the spectrum. 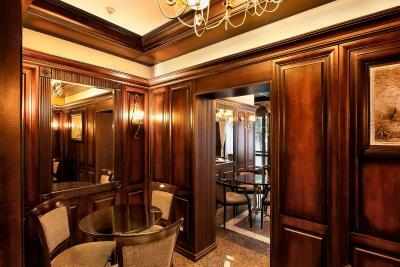 Sophisticated old world elegance. Nice bathrooms. Clean. 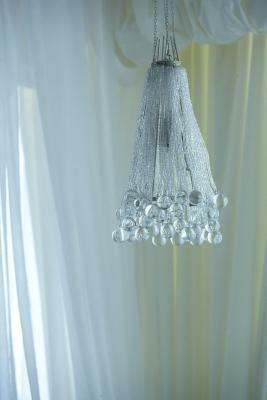 Everything worked perfectly and the staff were helpful and professional. Bar and restaurant are good. There is nothing that didn’t like about this property. 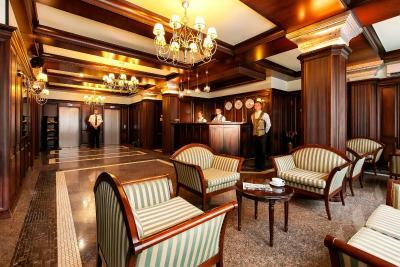 This is the fourth visit to this hotel, I will continue coming here anytime I visit Kharkiv. 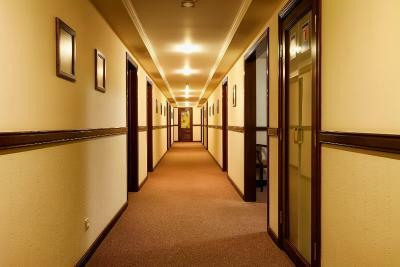 There is a feeling of being home in this hotel, the staff makes each guest feel welcome and valued. When I arrived to check in, I was greeted by name before identifying myself. The location is fantastic, the New Year celebration in the main square was a few minutes walk. 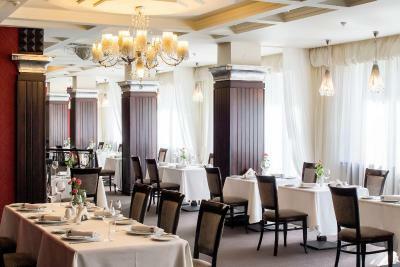 There are great restaurants nearby and the hotel restaurant has a great menu as well. I love this place. In general it was quite, but when someone closed the door on the same or neighboring floor it was very loud. This hotel is not for couples. You may encounter men and women bargaining for 1-hour pleasure time in the hotel. Nobody checks who is entering the hotel with whom. You may hear some strange disturbing moaning noise all night. Just in the winter time it's hard to get around in a taxi. The breakfast was wonderful and the staff was great.